The last decade has seen an explosion of AI-powered translation software, with the likes of Google Translate, Microsoft Bing Translator and Baidu Translate well-integrated into various operating systems and applications. However, recent events in the world of translation have reminded us that machine powered translations are not foolproof. Last month, on the West Bank settlement of Beitar Illit, near Jerusalem, a construction worker posted on Facebook a picture of himself leaning against a bulldozer with the caption “يصبحهم”, or “yusbihuhum”. While this translates to a friendly “good morning” in Arabic, Facebook’s AI-powered machine translation service mistranslated the post into “hurt them” or “attack them” in Hebrew. Israeli news reported that the man was detained in custody and questioned for several hours before finally being released and receiving an apology. Meanwhile, closer to home here in China the messaging app WeChat got into some hot water after its in-built translator was translating “hei laowei / 黑老外” which means “black foreigner” into the n-word. 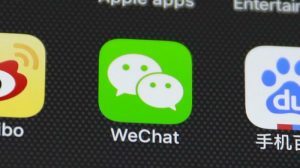 Local news reported that when questioned on how the racial slur even got into its translation database, WeChat explained that its service was powered by neural machine translation, deriving its content from big data sets and multiple networks of information, without a human filter. These are fairly extreme cross-cultural gaffes caused by machine translation software. More often, we encounter machine mistranslations which are more subtle. Common machine mistranslations we see are cultural nuances being missed, language coming across too direct, too little or too much emphasis, homophones being misused or phrases being translated too literally. When considering the place of AI in the realm of translation, it is important to remember exactly what it is we are trying to achieve with translation. Translation is about communicating from one language to another, whilst retaining the same meaning, impact and intention as the source. However, language isn’t one-dimensional. It is deeply entrenched in cultural, historical and current socio-political contexts. Without a ‘human filter’ to address these nuances, we risk conveying the wrong meaning (as was the case for the hapless Palestinian construction worker arrested for saying “good morning”) or can cause cultural offence (as WeChat’s algorithms inadvertently did in their mistranslations). Machine translations have certainly paved the way for speedier cross-cultural communication, and advances in translation software can aid with accuracy and consistency of translations. However, there is no substitute for the involvement of expert human translators; multi-linguists who are familiar with the cultural contexts of both the source language and the target language. After all, language is all about communication and cultural context, and these are constantly evolving. Machines, as advanced as they may get, will never quite measure up to the complex and evolving circuitry of the human brain. What are your thoughts on AI and machine translation? Shoot us an email! We would love to hear from you.